The small Balkan country of Montenegro lies nestled between Croatia, Serbia, Bosnia & Herzegovina, Kosovo and Albania. Its name translates as ‘black mountain’. To the west, there are beautiful beaches and the Adriatic Sea, with charming fishing villages dotted along the rugged coastline. Further inland, the wide plains and high mountains provide spectacular scenery, and plenty of outdoor recreational opportunities. The famous fortified town of Kotor is situated in a bay with the dramatic limestone cliffs of Mt Lovden providing shelter. 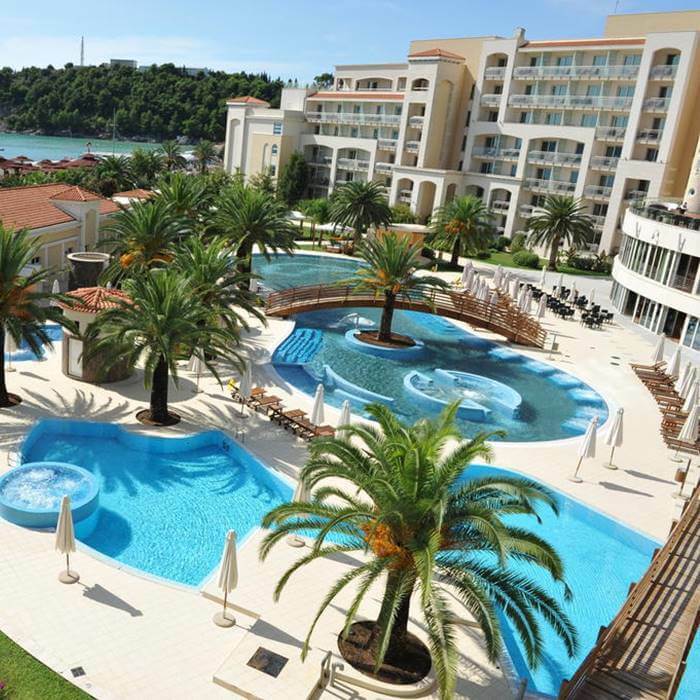 Montenegro is an up and coming popular holiday destination that has something to offer everyone. Nature lovers can enjoy the exploration of the magnificent and mountainous Durmitor National Park, which is part of the Dinaric Alps. Its highest peak, Bobotov Kuk looms 2.523m from ground level. Endemic wildlife is abundant in the lush rolling hills. It’s not uncommon to come across a bear, deer, wild boars, wildcats or wolves in the remotest regions of the country. Montenegro is also home to a variety of bird, reptile and fish species. The diverse climate benefits the indigenous flora and promotes the country’s wild beauty. 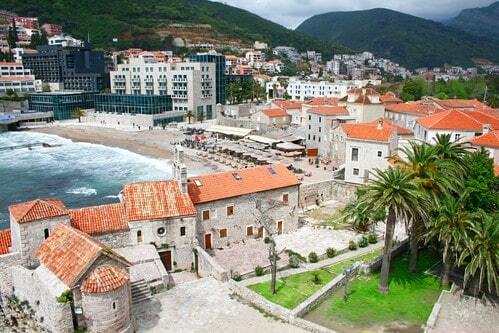 The history and heritage of Montenegro is evident in its many medieval walled towns. 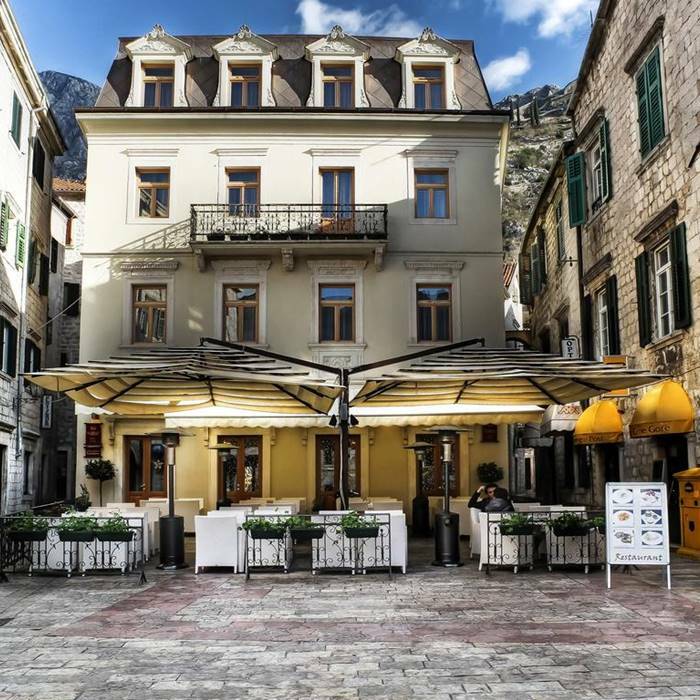 Visit the UNESCO World Heritage site of Kotor and admire the well-preserve architecture that is set in a stunning sweeping landscape. Enjoy a day trip to the ancient town of Perast, on the tiny island of Sveti Dorde, and visit its quaint centuries-old church. 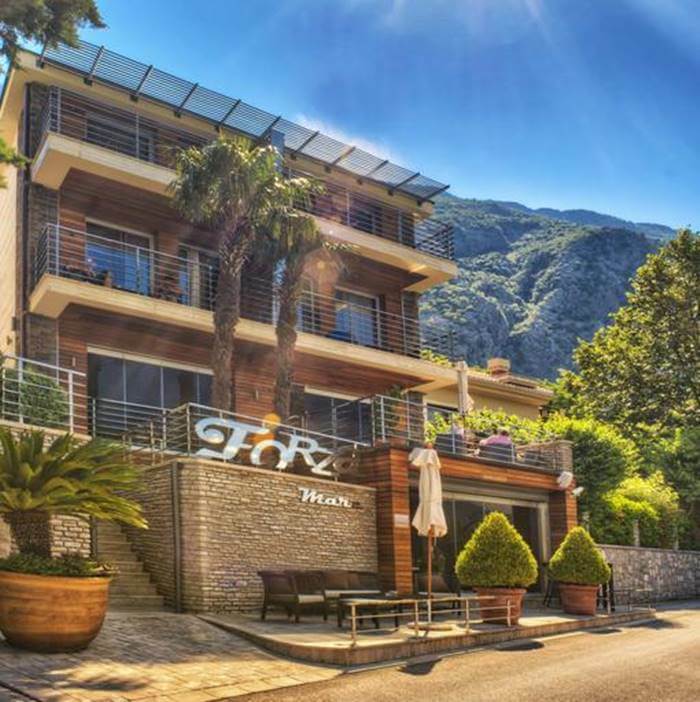 Montenegro also boasts picturesque seaside resorts where the pace of life is tranquil and laidback. Explore the town of Ulcinj and learn about its rich pirate history. 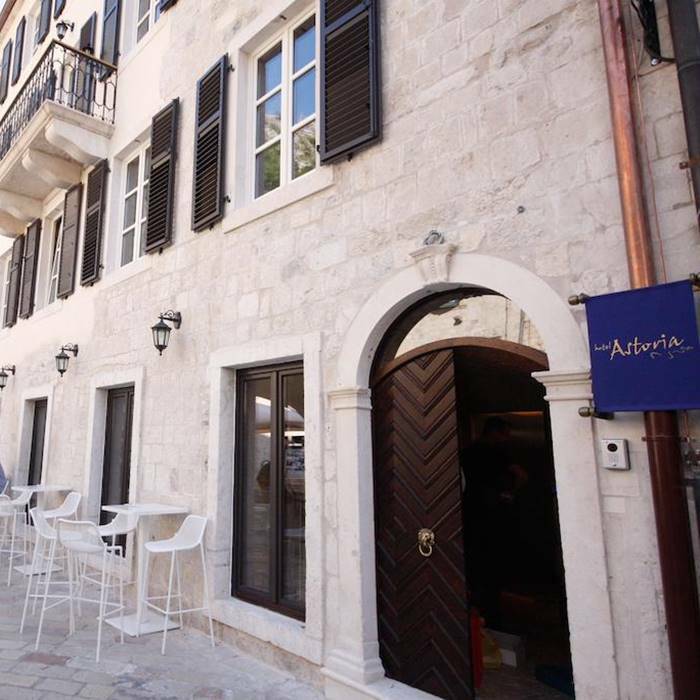 Escape to the beautiful Budva Riviera and enjoy the sandy beaches and nightlife of the enchanting historic district. The secluded beaches offer an idyllic haven away from the vibrant Old Town centre. 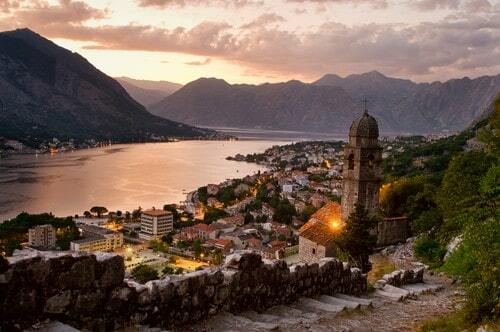 The atmospheric town of Kotor is a UNESCO World Heritage site that offers an abundance of spectacular scenery. 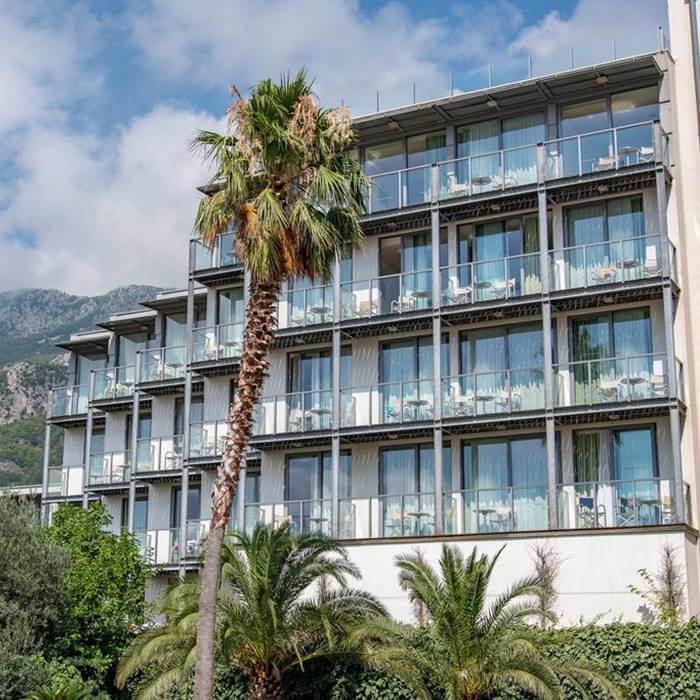 The charming medieval Old Kotor boasts a maze of museums, Romanesque churches, elegant café lined squares, and Venetian palaces that are worth exploring. Stroll along the ancient cobblestone streets and admire the stunning architecture of the fortified town’s buildings. After dark, the limestone cliffs of Mt Lovden are spectacularly lit up by streetlights that illuminate the cluster of houses, and the vibrant nightlight atmosphere. The beautiful Montenegro coastline is dotted with many charming seaside resorts that flaunt an inviting Mediterranean ambience. 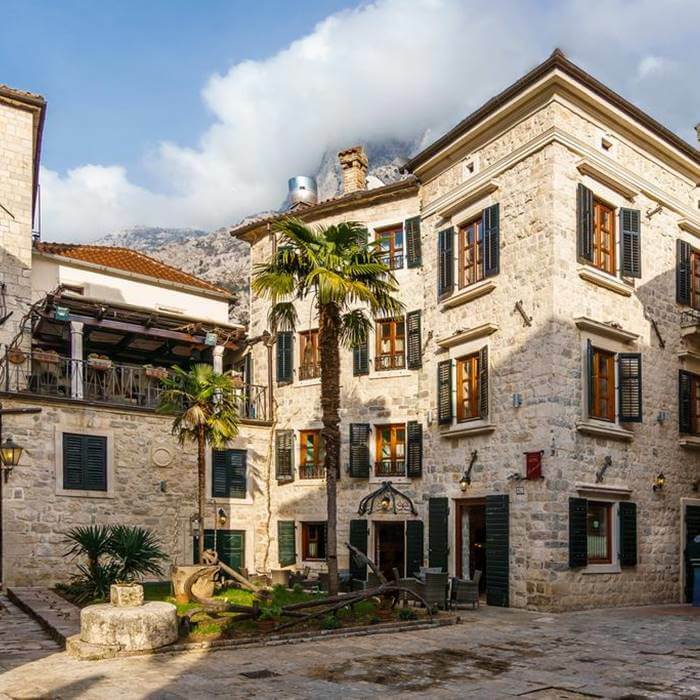 Take a tour of the medieval pirate town of Ulcinj, visit historic Bar, admire the tourist metropolis of Budva and wander through the town of Tivat, which is well-known for its outstanding beauty. Enjoy delicious regional cuisine in friendly family-run restaurants, and shop for interesting souvenirs to take back home. Seek out a tranquil spot on the coast, and enjoy a spectacular sunset vista. 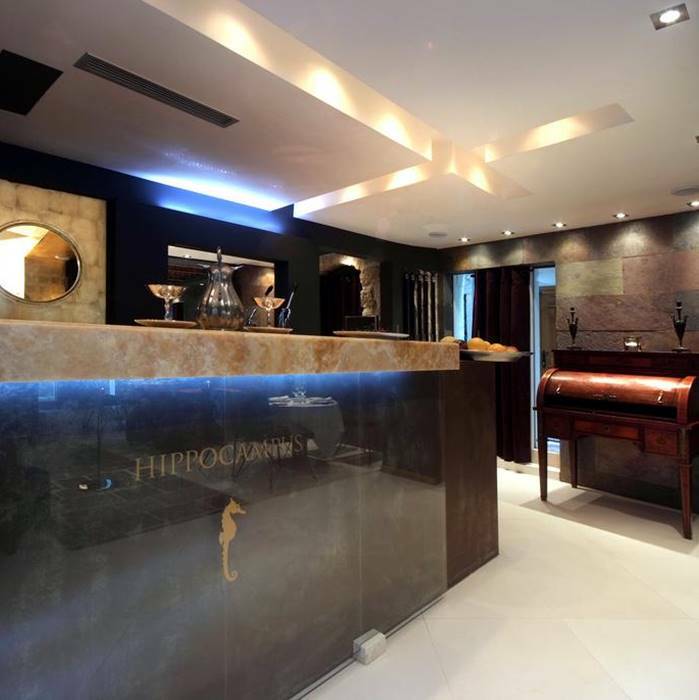 Boutique Hotel Hippocampus is a chic and stylish hotel located in the heart of Kotor’s walled old town. This intimate hotel offers a beautiful roof terrace, an outdoor courtyard and nine charming rooms and suites decorated with antiques, modern artwork and bespoke furniture.